Norbert Lukasiewicz has left Integral Development Corporation, according to Forex Magnates the move comes during a period where the firm is currently undergoing major personnel changes and restructuring. Mr. Lukasiewicz, the firm’s Global Head for Retail Brokers has left the organisation, in addition, the firm reported that it has recently made two major reshuffles at the top. It is believed that other individuals from the sales and support divisions, have also left the organisation. Mr. Lukasiewicz joined Integral in 2011 as Vice President, he was later promoted to Director, Global Segment Head for Retail Brokers. In his role, Mr. Lukasiewicz managed the firm’s relationship with retail brokerages. Prior to joining Integral, Mr. Lukasiewicz was an individual trader and later joined Alpari UK as a retail FX broker in 2008 in the firm’s marketing department, and later became the product development manager, according to his LinkedIn profile. According to its sources, Forex Magnates expects Mr. Lukasiewicz to join Divisa Capital, a UK regulated prime brokerage firm. On its website, Divisa Capital describes itself as a “boutique prime broker offering bespoke Forex, CFD and bullion liquidity to institutions and professional investors.” The firm’s UK headquarters are on 14 King Street in the City of London. 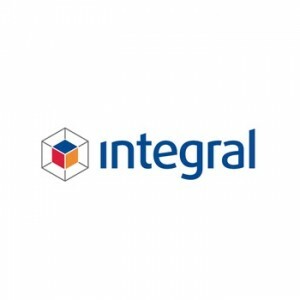 Integral’s latest restructuring at the top includes recently appointed Richard K. Farrell and Jon Barker. Mr Barker will be moving from a Head of Sales position to the post of Managing Director of the Products Division, while Richard K. Farrell is being promoted as the firm’s Managing Director and Global Head of Sales.